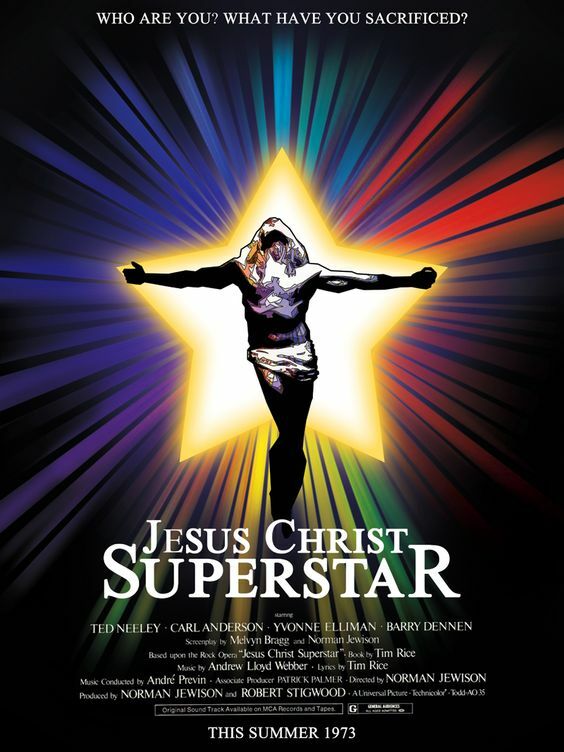 A rock opera re-telling of the final days of Jesus Christ. What better way to tell the story of Jesus Christ than through a surreal rock opera that is sung by hippies? "Jesus Christ Superstar" is directed by Norman Jewison, who helmed films like "In the Heat of the Night," "Fiddler on the Roof," and "Moonstruck." Jewison also helped write the screenplay along with Melvyn Bragg. It is, of course, a film adaptation of the Andrew Lloyd Webber stage musical of the same name. The film mainly focuses on the relationship between Jesus Christ (Ted Neely) and Judas Iscariot (Carl Anderson) as Judas becomes increasingly more disillusioned with the way Jesus is handling himself and his followers. Judas is worried Jesus being viewed as a deity rather than a simple man with a message will bring trouble and death to him and his associates. The whole story is told to a blaring 70's rock soundtrack as every word in the entire production is sung. We aren't religious people, but we can still appreciate a story like "Jesus Christ Superstar." It is shot in Israel but has a very surreal nature to it. Seeing modern objects like buses, tanks, and machine guns pop up in the story of Jesus is pretty wild. These images are obviously not meant to be taken literally. They are included as metaphors for man's propensity towards war and violence, things that are in a direct clash to the messages Jesus taught as a representative of peace and love. The play was released as America was becoming wary of the war in Vietnam, so it makes sense. We really enjoyed this movie. Oddly enough, our favorite character is not Jesus, but Judas. Carl Anderson has an incredible voice and does a fantastic job portraying this conflicted character. That being said, Ted Neely is still very good in his own right as the titular character. We do like most of the music in this film, even though it is performed like an actual opera with constant singing rather than a traditional musical that switches between normal dialogue and the occasional song. Still, it never becomes tedious or monotonous in our opinion. There is enough variation in the music to differentiate the singing numbers and the tone that is trying to be portrayed. Many moments in "Jesus Christ Superstar" stand out to us as being memorable, but only one shines brightly above the rest. We are of course referring to Herod's musical number. It is so humorous and tonally different from the rest of the material that it makes it stand out in our minds. Josh Mostel does a splendid job in this small but extremely interesting part. In the end, we think "Jesus Christ Superstar" is a good watch, even for those who aren't religious. We honestly had a great time watching it. It makes such stuffy material feel fresh, new, and a little more easily digestible when seen through a modern lens.